In this talk, I will discuss the implications of big and structured data for Statistics and the convergence of statistical model and distributed systems. I will present one of the most versatile modeling techniques that combines systems and statistical properties – factor graphs – and review a series of approximate inference techniques such as distributed message passing. The talk will be concluded with an overview of real-world problems at Amazon. Ralf is Director of Machine Learning Science at Amazon Berlin, Germany. 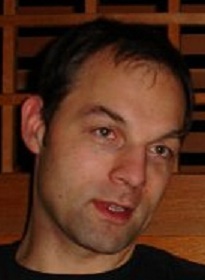 In 2011, he worked at Facebook leading the Unified Ranking and Allocation team. This team is focused on building horizontal large-scale machine learning infrastructure for learning user-action-rate predictors that enabled unified value experiences across the products. Ralf joined Microsoft Research in 2000 as a Postdoctoral researcher and Research Fellow of the Darwin College Cambridge. From 2006 – 2010, together with Thore Graepel, he was leading the Applied Games and Online Services and Advertising group which engaged in research at the intersection of machine learning and computer games and in the areas of online services, search and online advertising combining insights from machine learning, information retrieval, game theory, artificial intelligence and social network analysis. From 2009 to 2011, he was Director of Microsoft’s Future Social Experiences (FUSE) Lab UK working on the development of computational intelligence technologies on large online data collections. Prior to joining Microsoft, Ralf worked at the Technical University Berlin as a teaching assistant where I obtained both a diploma degree in Computer Science in 1997 and a Ph.D. degree in Statistics in 2000. Ralf’s research interests include Bayesian inference and decision making, computer games, kernel methods and statistical learning theory. Ralf is one of the inventors of the Drivatars™ system in the Forza Motorsport series as well as the TrueSkill™ ranking and matchmaking system in Xbox 360 Live. He also co-invented the adPredictor click-prediction technology launched in 2009 in Bing’s online advertising system.